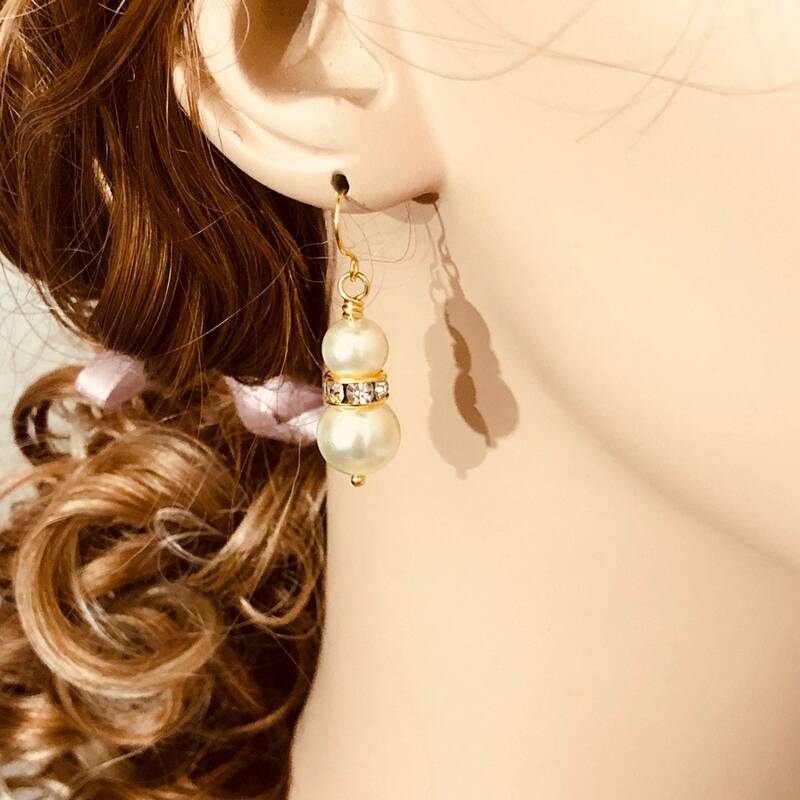 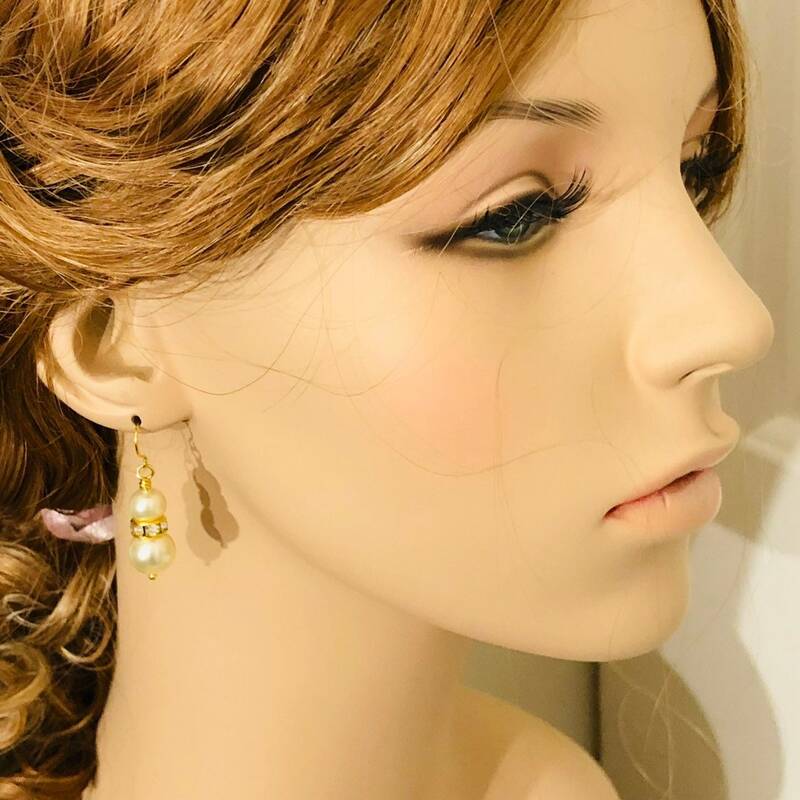 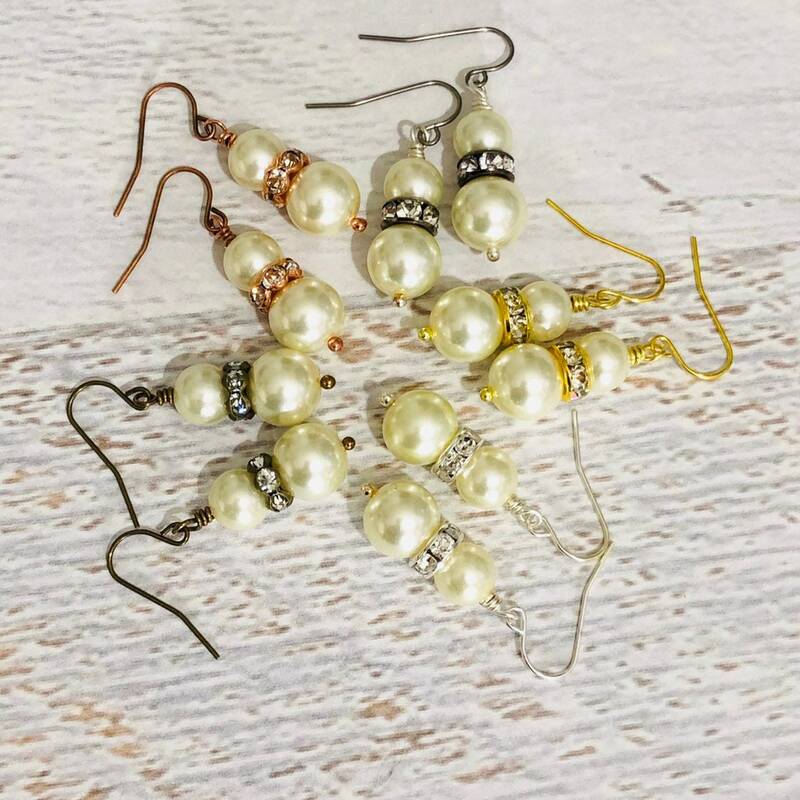 Simple, pretty and classic earrings made with glass pearl beads, clear rhinestone beads and surgical steel ear wires. 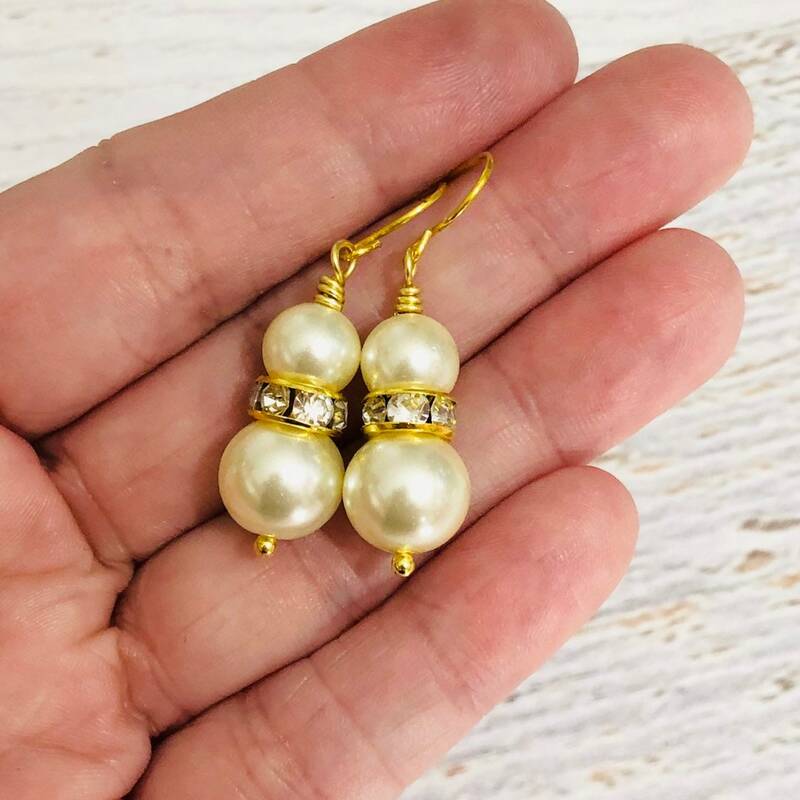 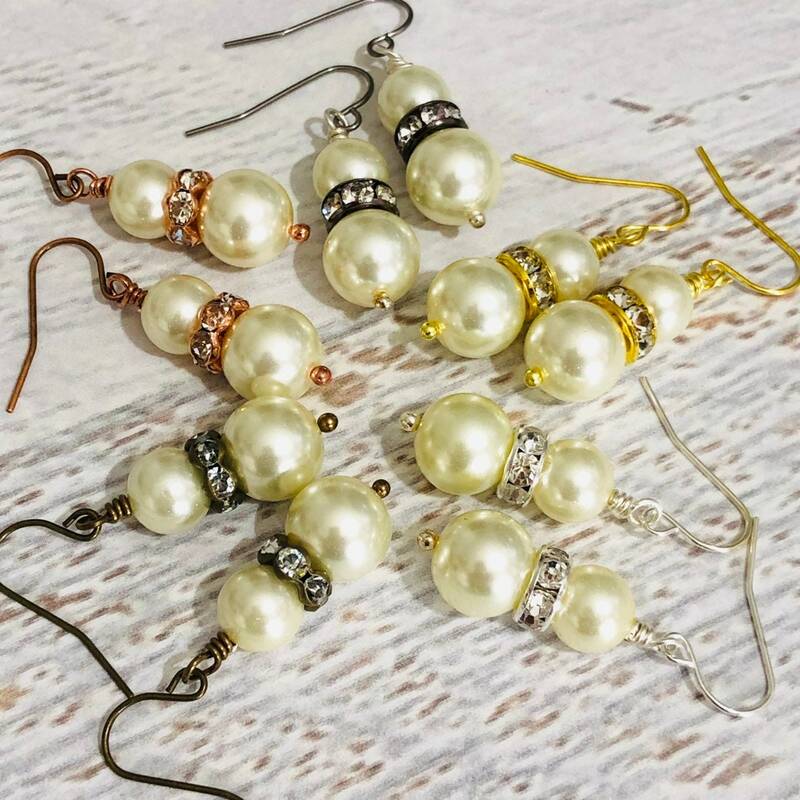 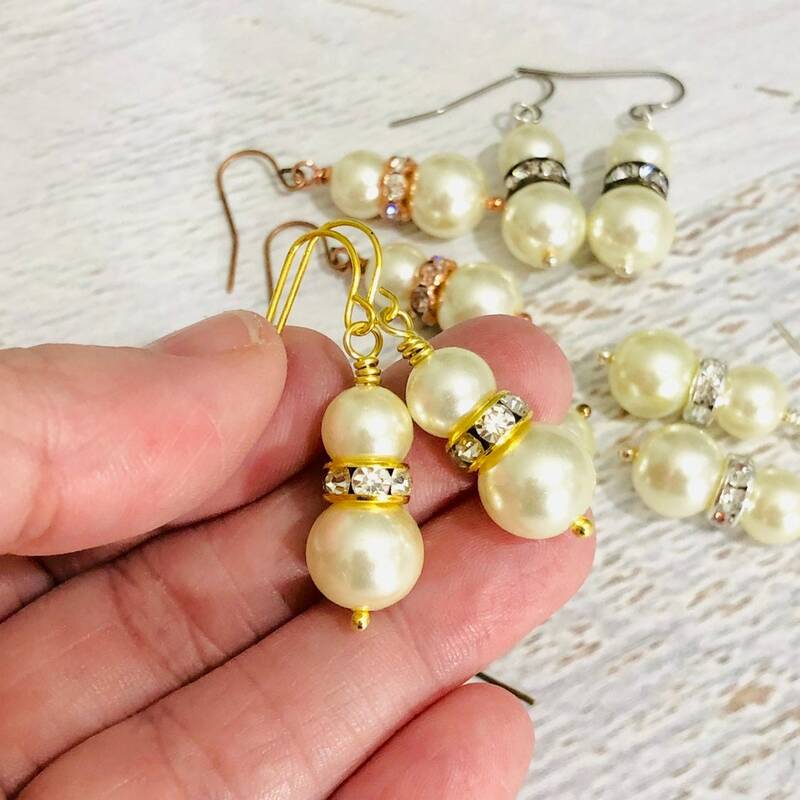 These particular pearls are an off white with just enough hint of yellow to call them champagne colored. 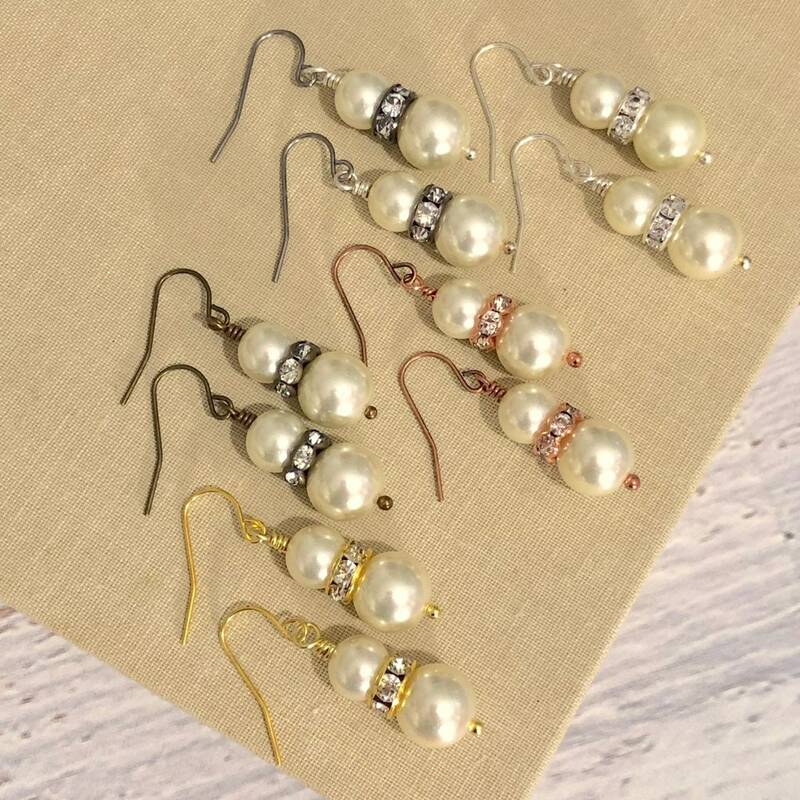 These dangle about 1.5 inches (3.8 cm) from the top of the ear wire to the bottom. 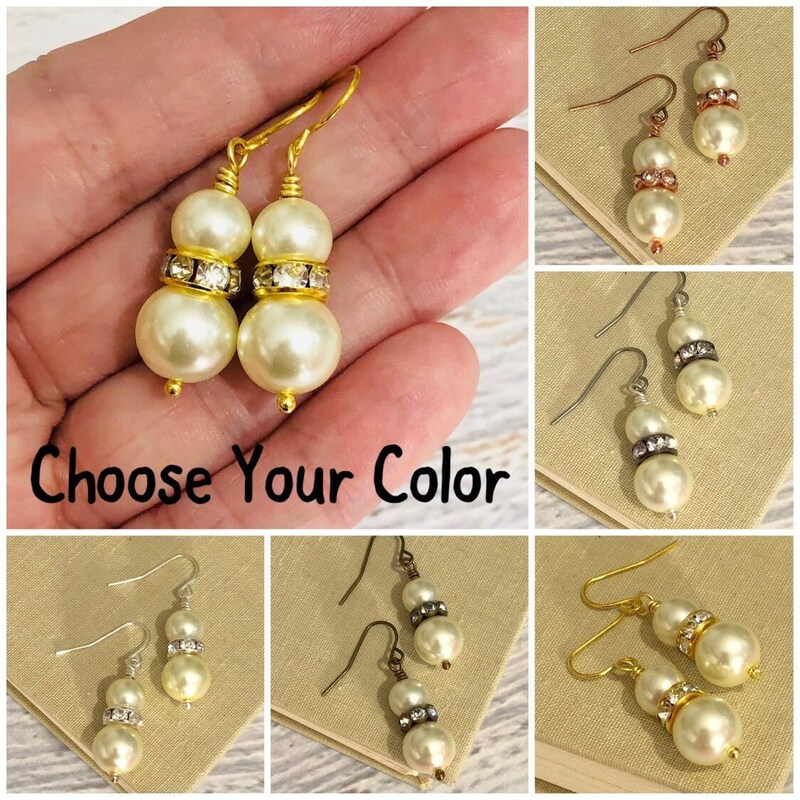 You will be prompted to choose your finishing color before adding the item to your cart.